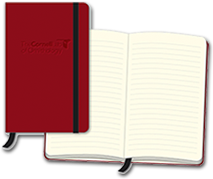 First select whether you wish to make a single or monthly donation. conserve birds and their habitats. 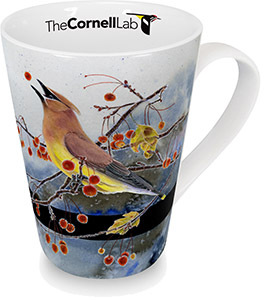 For a one-time gift of $100 or more, you will receive a limited edition mug featuring the Cedar Waxwing by Ann-Kathrin Wirth, a Bartels Science Illustration Intern! Supplies are limited. 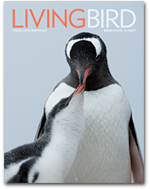 Please check if you prefer to receive only the digital version of Living Bird magazine (available for web browsing and as an app for mobile devices).